Rosehips tea is made from the ‘hips’ of the rose, just beneath the base of the flower. 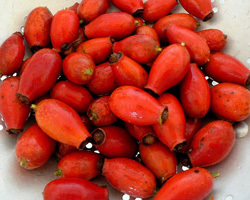 Although rosehips are also used for many other uses such as jams, syrups, and soups, it is most popularly seen as an ingredient for tea due to the potent health benefits it has to offer. It is most well known as an excellent source of vitamin C, as well as for its anti-inflammatory and antioxidant effects. Fresh rose hips tea can be used as an immune system booster and a healer of various illnesses. Furthermore, rosehips tea has also been studied as being an effective method to ease the pains of arthritis. The roots of the word arthritis are arthron, which is Greek for “joint” and itis which is Latin for “swelling”. Arthritis typically starts with the breakdown of cartilage as a result of broken bones, general wearing down of the joints, infection, or disease. Once the cartilage that protects the joints wears down, it is no longer able to absorb shock and the feeling of the bones that rub together lead to pain, inflammation, and a feeling of stiffness. Arthritis has been said to be the main reason for disability in most people over fifty-five years. There are many different types of arthritis, but all of them involve feelings of pain and discomfort, as well as swelling. Some of the other effects that may be felt by someone that suffers from arthritis are the inability to properly grip things or get around as easily. Because there are so many different variations of arthritis sometimes the pain is constant, while other times it may only affect a person on some days, while other days it isn’t as bad. One of the key points to remember is that a healthy diet can ease arthritis. It is better to avoid sugar and fat filled foods which can make things more painful. Another solution for the aching pains of arthritis is to enlist in therapy that can help you build stronger muscle around the effected joint. Pain can also be mildly eased with ice packs and heating pads or warm baths and showers. There are also medications that can be offered, depending on the type of arthritis the person is afflicted with. Generally though, most people seek out various pain relievers and anti-inflammatory relief. In this case it is more preferred to use natural methods since they typically will not afflict a person with unwanted side-effects. 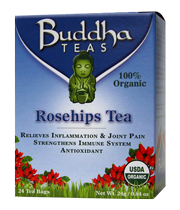 Rosehips tea is very effective in treating arthritis due to its convenience and its anti-inflammatory properties. Since it is a natural tea there are very few worries of someone experiencing side effects after drinking it. Studies showed that people that drank rosehips tea when they were affected by arthritis, not only felt less pain, but also gained more flexibility in some of their afflicted joints. This may be due to the high level of vitamin C that is found in rosehips tea. Studies have also shown that vitamin C intake also affects arthritis. Those that have an increased intake of vitamin C, have less feelings of pain associated with arthritis. Rosehips tea is also essential in preventing the buildup of uric acid which may lead to gout disease. 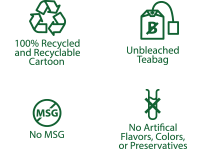 For those that are looking for a natural, convenient way to ease up the discomfort and unpleasant feelings of arthritis, rosehips tea is certainly worth a try. For those that suffer from the pains of arthritis, regular intake of rosehips tea is often advised to reduce swelling as well as other symptoms.